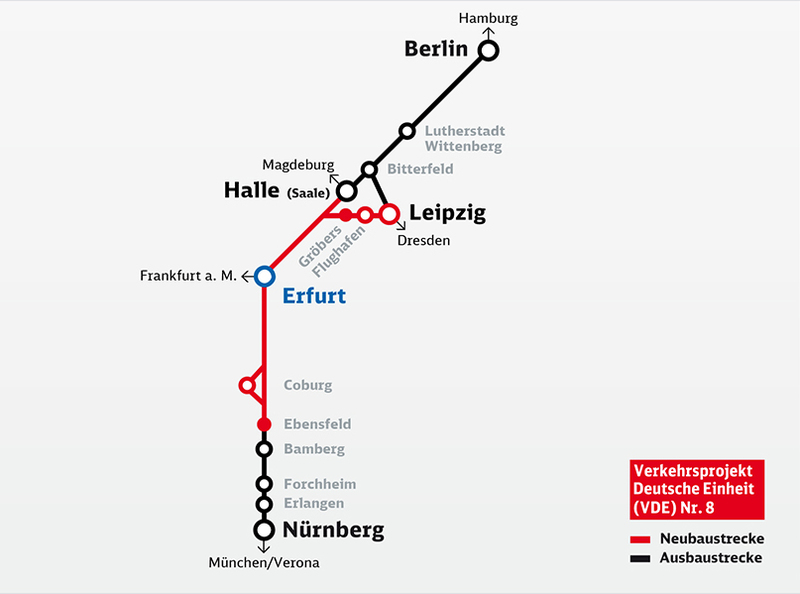 Its location in the heart of central Europe makes the Erfurt rail junction an important part of both the European infrastructure master plan and the European high-speed network. The VDE 8 high-speed rail line serves both passenger and freight traffic. As the easternmost north-south axis in Germany, it is integrated in the future trans-European transport network (TEN Project No. 1 from Palermo to Berlin, which continues northwards as far as Sweden). 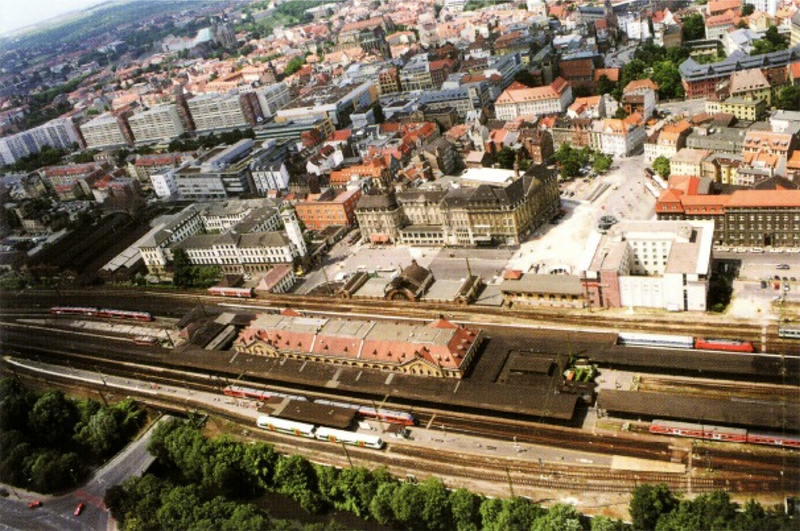 Erfurt is an important rail hub domestically as well as internationally. 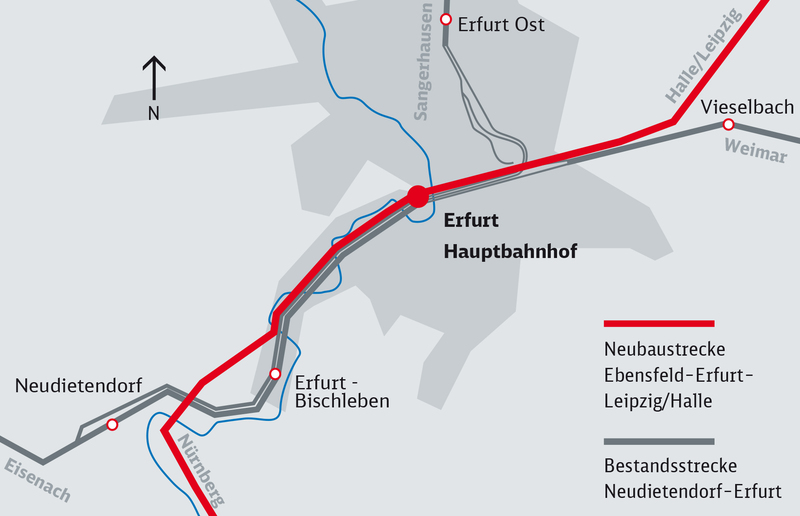 The work on the Erfurt rail junction will link up the new sections of the VDE 8 (German Unity Transport Projects) line that runs from Nuremberg via Erfurt to Leipzig, Halle and Berlin. The lines from Frankfurt/Main and the Ruhr and from Dresden and Gera/Chemnitz also run through Erfurt. In addition, there are numerous regional connections.